The Senior Companionship Program helps Preble County seniors stay in their homes, and live independently by offering friendship and emotional support. Services provided include an in-home visitor and/or a reassurance telephone call. This program can offer a win-win experience for the volunteer as well as the senior in need of companionship. EATON — In highlighting this year’s National Senior Center Month’s theme of, Senior Centers: Building Momentum, this emphasizes the personal growth and momentum senior centers bring to their communities, including programming that empowers older adults to learn, give, and connect. At Preble County Council on Aging our Senior Companionship Program is one of our volunteer based programs that provides engagement and connection for both the senior companion (volunteer) and the senior recipient. We currently have a waiting list of 12 seniors throughout the county that are in need of companionship. If you have the time or energy to volunteer, we would greatly appreciate the support. Give us a call at 937-456-4947 or stop in the senior center at 800 East St. Clair St. in Eaton. https://www.registerherald.com/wp-content/uploads/sites/41/2018/09/web1_senior-companion-1_ne201891613144115.jpgThe Senior Companionship Program helps Preble County seniors stay in their homes, and live independently by offering friendship and emotional support. Services provided include an in-home visitor and/or a reassurance telephone call. 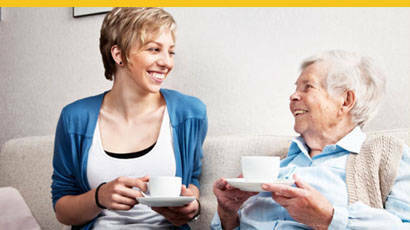 This program can offer a win-win experience for the volunteer as well as the senior in need of companionship.